We are all learners; as parents, as students, as leaders, as employees. An important part of learning, for me, is reflection. We can only really grow and improve when we take a good, hard look at what’s working and what’s not. My time has ended as Director of Ontario, and Executive Member of the Board of Directors of Mortgage Professionals Canada—so it’s a good time for such a reflection. When I ran for the Board of Directors of CAAMP (now Mortgage Professionals Canada) in 2014, I felt as though our industry was splintering. To me, there was a divide among brokers, lenders and suppliers. There was considerable chatter about the role of CAAMP, provincial associations and the overlap between them. There were questions around the need for a national association coupled with discussions about a brokers-only association. This was healthy dialogue to have and I was glad to be part of such an engaged industry. I believe the mix of brokers, lenders and suppliers actually makes our voice much stronger when we lobby for the industry in Ottawa. A shared board of directors to oversee our national association unifies us, knowing that the majority of our members are aligned and committed to growing a strong broker channel in Canada. I also believe that our association has to continue to be responsive and approachable, that we advocate for the broker channel and continue to offer relevant events and symposiums. More than anything, MPC has to remain the pre-eminent source to government and the media with respect to all things mortgages. 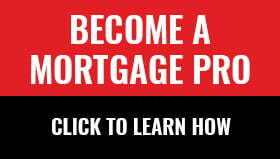 I have been in the mortgage industry for nearly 20 years. 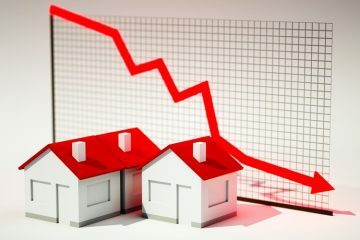 Through that time I have seen the mortgage business morph from a low-risk, moderate-return, stagnant business to one that is dynamic, rewarding and essential to the Canadian housing sector and overall economic activity. Yet, no one really could have predicted the extent and the resulting magnitude of the regulatory changes introduced over these past two years. I feel honoured to have represented our members with government, policy-makers and regulators and am grateful to the board volunteers who have given selflessly of their time. In doing so, they set aside personal considerations for the betterment of the association and membership as a whole. I am proud of what we have accomplished so far and I am confident we can do more. As the borrowing landscape becomes more complex, getting involved in the industry association, in whatever small way, is so vital to our continued growth. To have a not-for-profit, industry voice that advocates for brokers is vital—we all benefit from that voice. To powerfully advocate on your behalf with Ottawa, the provinces, the regulators and the media, we need to count on you. Please consider joining—not because of the value you seek (of which there is much) but because of what you and your voice can give back to your industry. I do have to give a shout-out to a truly remarkable person in our industry these past few years: Paul Taylor, MPC’s President and CEO. Having come from a completely different industry, Paul has led us through three different boards, enhanced the focus on government relations and provided calming leadership to members across the country. I have much faith in the leadership of the entire staff and the board going forward. There is a growing calling among regulators to ensure the interests of consumers are protected. When I think of the broker channel, I am extremely confident we check that box, and not just because we have to, but because we operate with integrity and professionalism. Let’s keep the momentum going. Be proactive and volunteer on one of your association’s committees. Send feedback to board members. Suggest seminars. Attend regional conferences. We can’t do it without you. It was a pleasure to serve. Mark Kerzner is President of TMG The Mortgage Group and Past-Chair of Mortgage Professionals Canada. What a great reflection Mark. Thank you for all of your time and efforts put into your volunteer position representing the mortgage industry as a whole. I totally agree volunteer, educate and keep advocating not only for the mortgage industry but for the consumer.